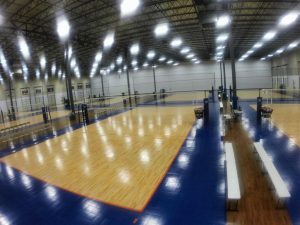 F.A.S.T Complex is a 52,000-square foot state of the art facility that includes eight spacious courts. F.A.S.T Complex is dedicated to the development of the youth volleyball athlete and services athletes each year ages 5 – 18. F.A.S.T. Complex is also home to nationally known tournaments ranging from junior to collegiate level. F.A.S.T. Complex provides a safe environment for athletes, families, and individuals who understand the value of team, hard work and good sportsmanship. We would love to have your teams participate in our tournaments for the upcoming tournament season. Any question about F.A.S.T Complex, please contact Jeff Ham, Facility Manager.